If you’re assembling, adjusting your set up or servicing your own bike, it’s important to use a torque wrench to ensure bolts are tightened correctly. 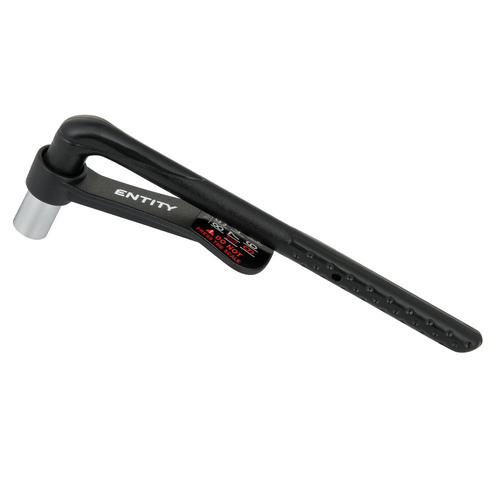 From ensuring you don’t crush a lightweight carbon component through to ensuring your suspension pivots won’t work loose, the Entity TW30 Torque Wrench has you covered. Using a simple yet efficient method to gauge the force being applied to a bolt from 1 to 10 NM, the Entity TW30 Torque Wrench is calibrated so that torque being applied to the bolt is revealed on the gauge on the right side of the tool’s arm. 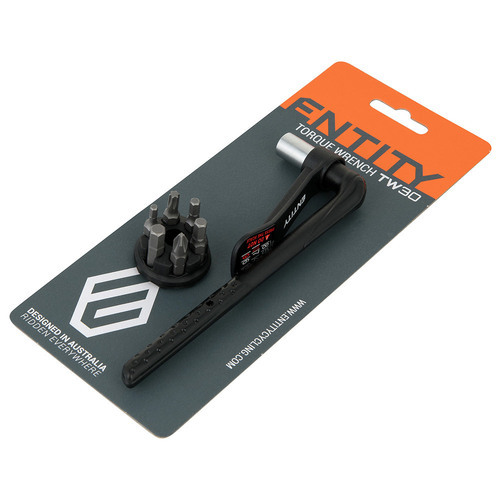 The Entity TW30 Torque Wrench comes with 3 - 4 - 5 & 6mm Allen key bits plus a Phillips and a T25 Torx bit, ready to dial in any bolt on your bike. 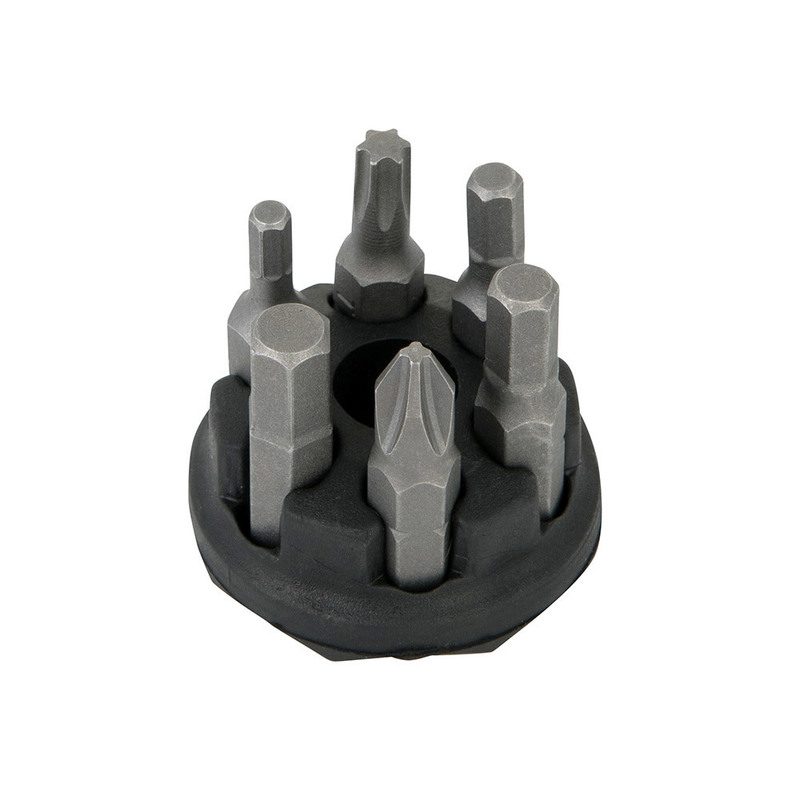 It’s important to note that, to keep it accurately calibrated only use it when tightening, and not loosening bolts. Take care to not press on the scale either. 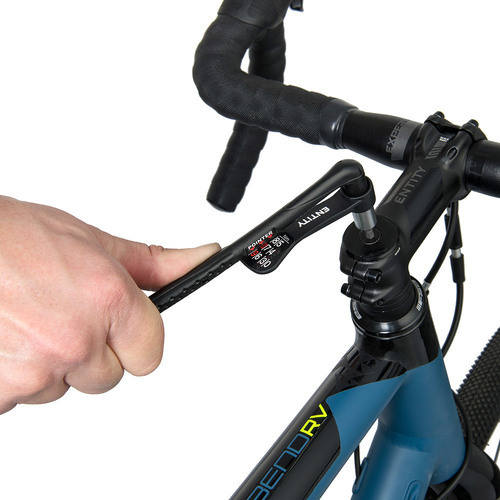 Keep it with your other tools in the garage or take it with you when travelling with your bike to ensure all your bolts are done up to the right torque settings.